Left: Large Beaded Earrings. See more styles and a size comparison to a quarter and soda can. 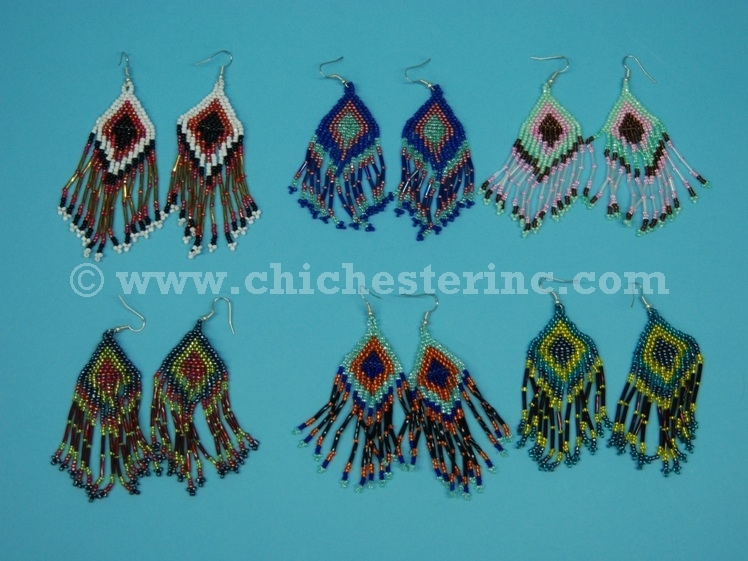 Right: Small Beaded Earrings. See more styles and a size comparison to a quarter and soda can. These beaded earrings are available in small and large sizes. They are handmade and come in an assortment of colors and designs. We may not have multiples of the same color. We will send you assorted colors unless you call us with a preference. 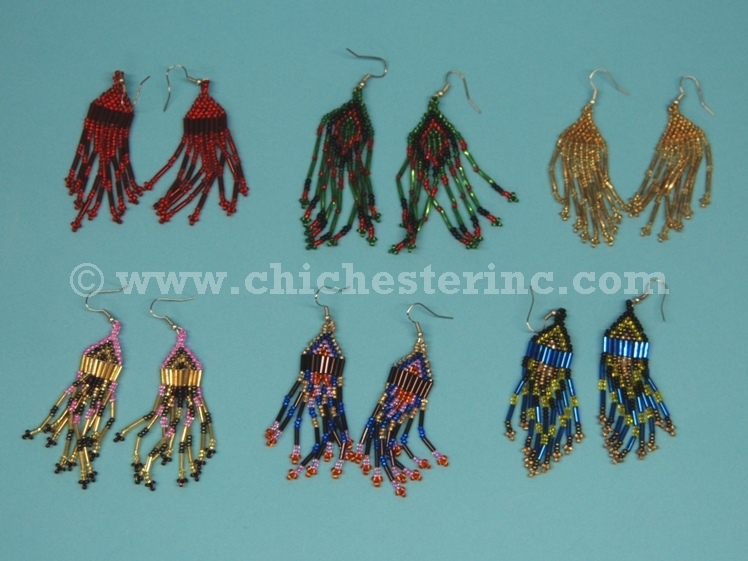 The small earrings are 3" long, 0.75" to 1" wide, and weigh 0.2 oz. 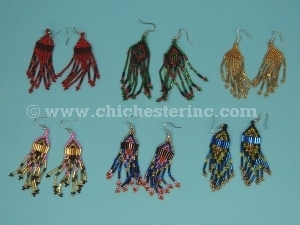 The large earrings are 3" long, 0.75" to 1.25" wide, and weigh 0.5 oz.